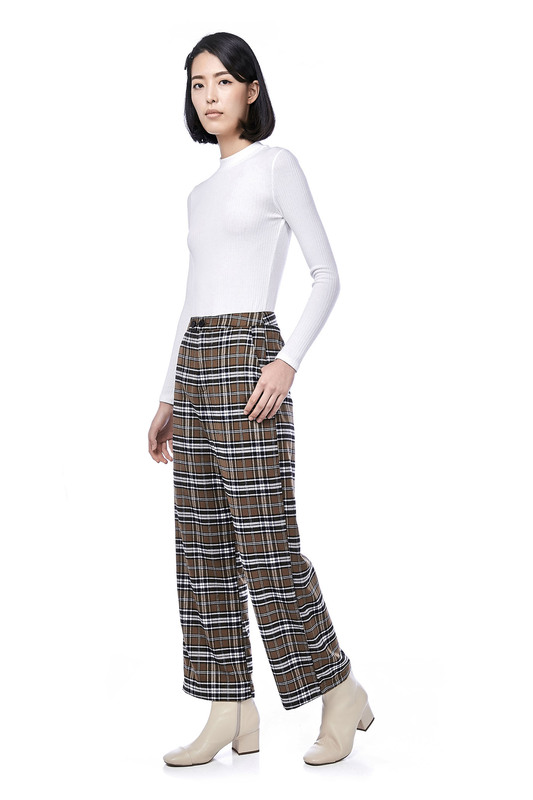 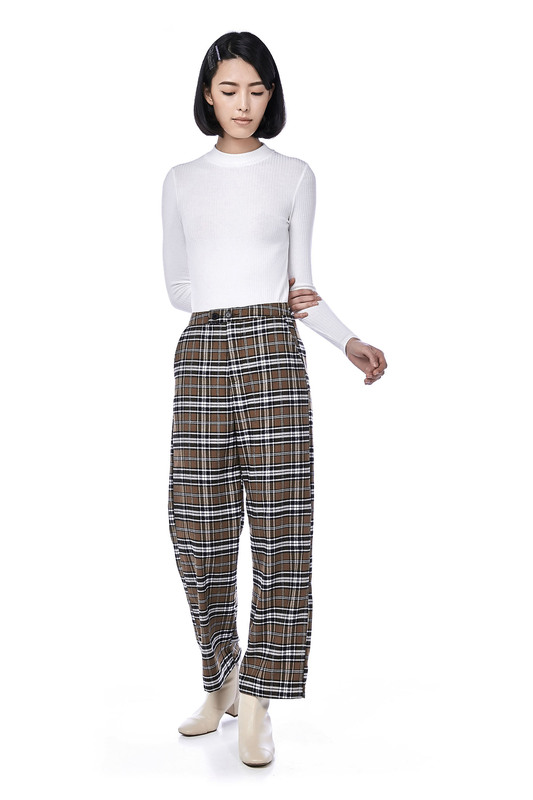 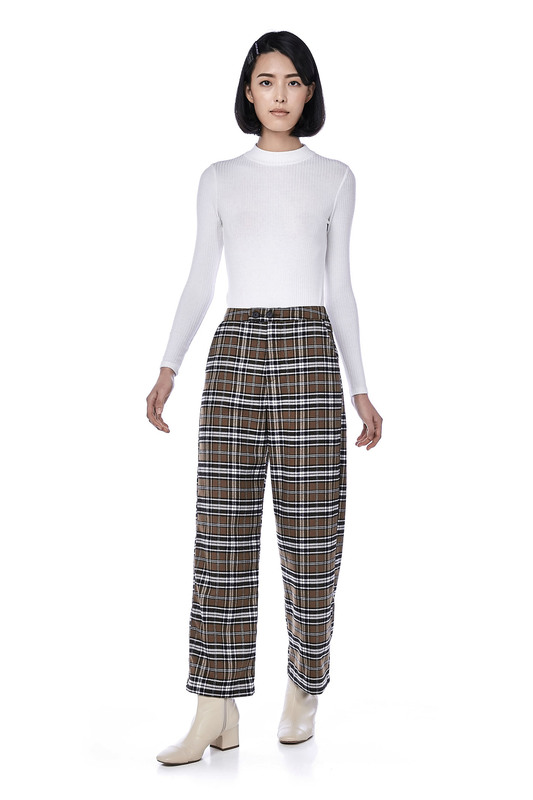 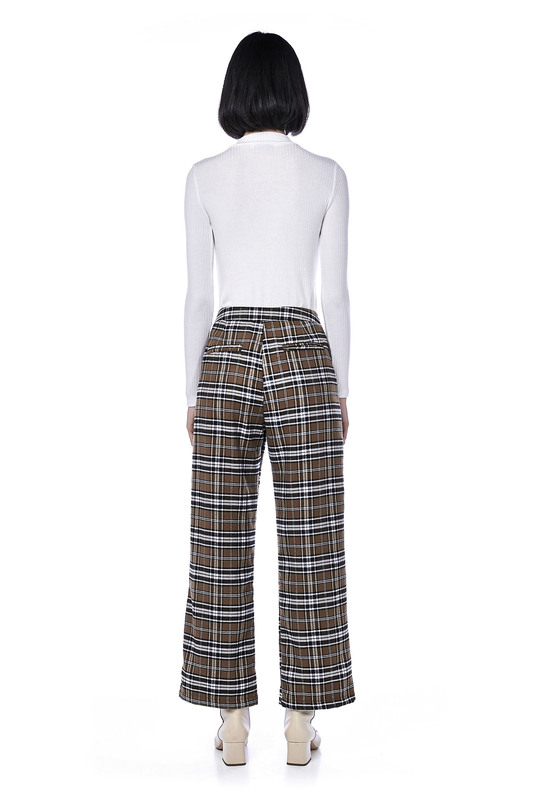 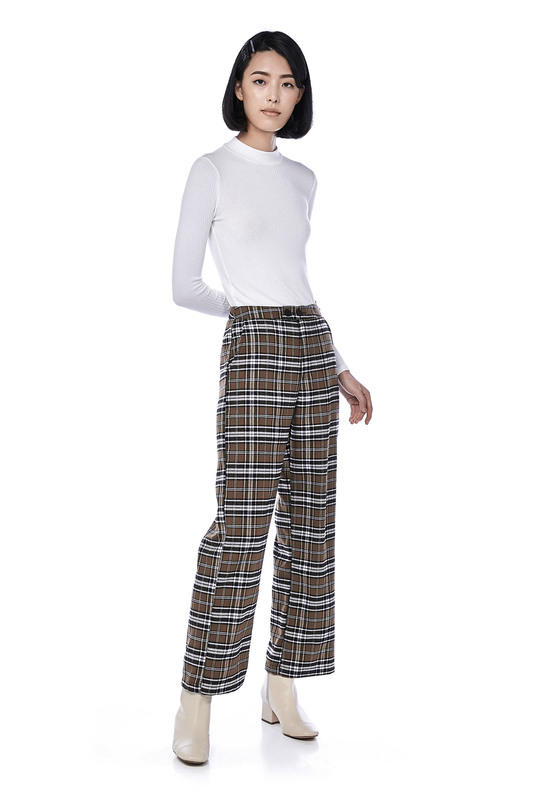 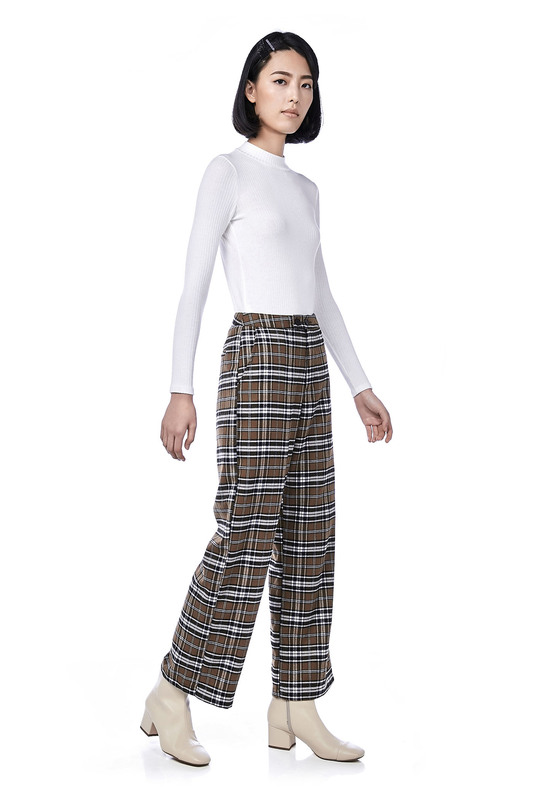 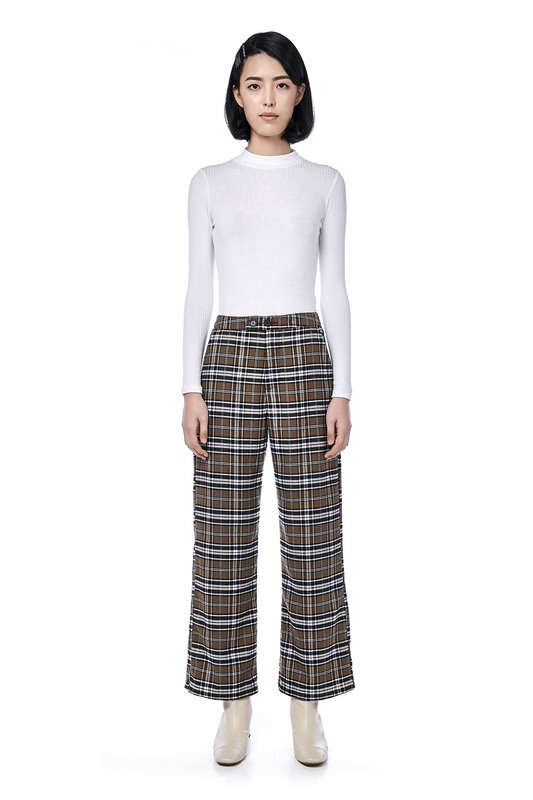 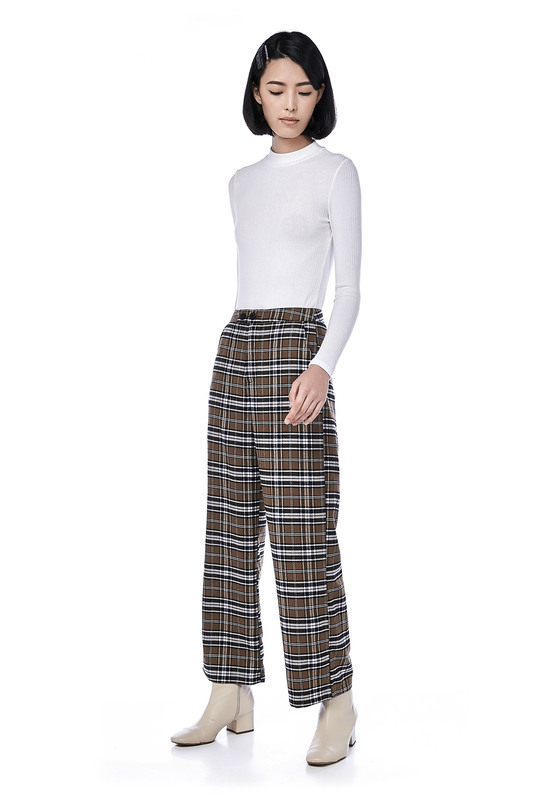 This pair of pants is made from polyester. 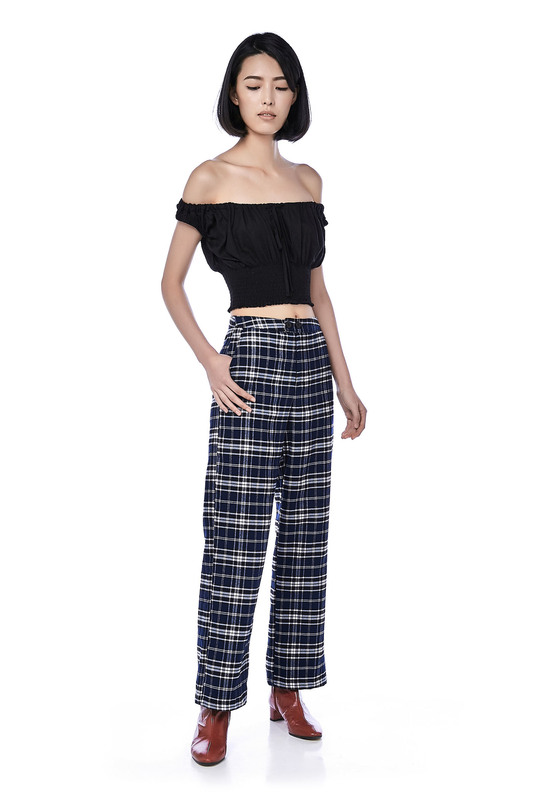 It is high-waisted, made in a wide-leg silhouette. 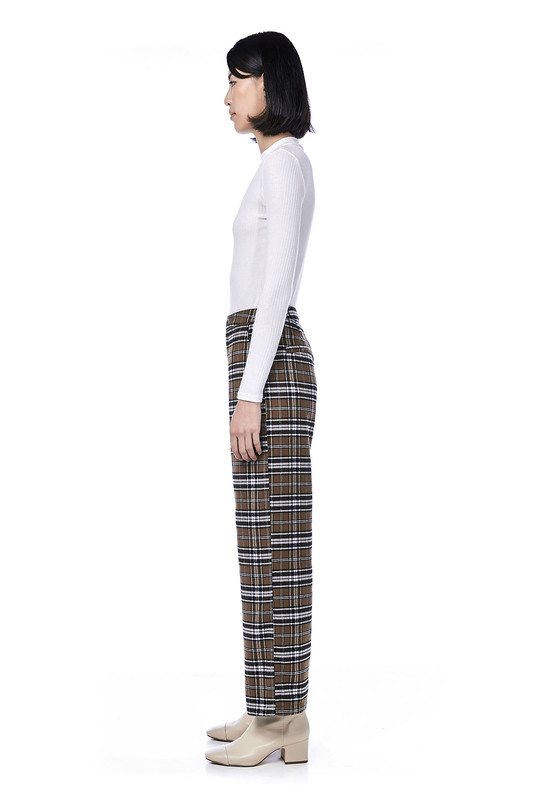 Button and zip closure on the front with functional pockets at both sides.